String theory is one of the most exciting and challenging areas of modern theoretical physics. This book guides the reader from the basics of string theory to recent developments. 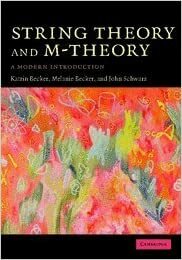 It introduces the basics of perturbative string theory, world-sheet supersymmetry, space-time supersymmetry, conformal field theory and the heterotic string, before describing modern developments, including D-branes, string dualities and M-theory. It then covers string geometry and flux compactifications, applications to cosmology and particle physics, black holes in string theory and M-theory, and the microscopic origin of black-hole entropy. It concludes with Matrix theory, the AdS/CFT duality and its generalizations. This book is ideal for graduate students and researchers in modern string theory, and will make an excellent textbook for a one-year course on string theory.